David Davis' second-half strike prevented Aston Villa boss Steve Bruce from making a winning return to Birmingham City as the Second City derby ended 1-1 on Sunday afternoon. Bruce and Villa had appeared set for a massive three points after Solihull-born Gary Gardner's looping header, his first goal for the club, had opened the scoring just before the half-hour mark. However, it was a goal by another local boy that denied Bruce the win as Davis levelled matters with a well-struck low shot 19 minutes from time to keep the Blues six points ahead of their city rivals. Birmingham boss Gary Rowett opted to replace suspended left-back Jonathan Grounds with the on-loan left-back Rhoys Wiggins, who was making his full debut for the club. Meanwhile, experienced goalkeeper Tomasz Kuszczak was also recalled for the first league derby between these two rivals in six years. 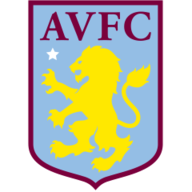 Villa made two changes from the team that beat Fulham 1-0 last week, with Albert Adomah and Ashley Westwood replacing Rudy Gestede and Leandro Bacuna, while Gabriel Agbonlahor also earned a place on the bench for his first appearance of the season. And in a first half that was played at a predictably frenetic pace, with Jordan Amavi going in the book after just three minutes for a crunching tackle on Maikel Kieftenbeld, it was the home side who were kicking themselves after missing a gilt-edged chance to open the scoring a quarter of an hour later. 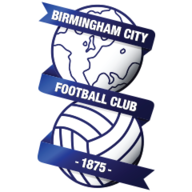 Birmingham launched a free kick towards Ryan Shotton at the far post, with the defender doing well to knock the ball back across the six-yard box towards Clayton Donaldson, only for the striker to somehow hit the bar from virtually on the goal line. However, despite the ball dropping down and appearing to go in, the linesman made the right call and the Blues were very nearly made to pay for that close-range miss as Villa then immediately broke upfield. The returning Kuszczak raced off his line, clattering into Albert Adomah, but Westwood was unable to make the Pole pay as he dragged his shot wide of the gaping goal, albeit under pressure from a posse of Birmingham players. The visitors' disappointment did not last long, though, as they broke the deadlock after 29 minutes as Gardner somehow managed to beat Donaldson in the air to Jordan Ayew's free kick, with the midfielder's header looping over a helpless Kuszczak from just inside the area. Birmingham responded well to going behind, dominating the second half after no doubt strong words from Rowett at the break, missing a number of presentable openings before eventually drawing level. Jacques Maghoma was the main culprit after failing to beat Pierluigi Gollini when one on one with the Villa 'keeper seven minutes into the second period after Alan Hutton was caught on the ball. It was the introduction of David Cotterill, though, that helped bring the Blues level as the winger showed great pace to break clear down the right flank with his first touch after coming on as a 70th-minute substitute. And despite the Welshman's cross being cut out at the near post by Legzdins, Smethwick-born Davis collected the rebound, before beating the Villa No 1 from just inside the area to send the home fans delirious. Birmingham may have even won the match in the final 20 minutes, only for both Donaldson and Shotton to miss presentable openings, while not even Agbonlahor's late introduction could provide Bruce with a fairy-tale ending.